We love Cool Sites! Submit Your Women's Soccer Site Info and We Can Exchange! -Soccer for Parents: This web site is helpful for anyone who needs easy and fun drills for kids. I learned a lot from Karl Dewazien's books about coaching girl's soccer. Soccer terms for parents-and rules explained. Soccer Glossary-from "Soccer Made Simple: A Spectator's Guide". Soccer Signals-visual signs made by the referee and linesman. Soccer Terms-list of terms and sayings that you will hear around a soccer field. Speaking of Mia, ever wonder what it’s like to train with the greatest female soccer player of all time? Now you can, as Mia Hamm joins sportskool to teach soccer. During her 17-year career with the U.S. Women’s National team, Hamm netted 158 goals, won two World Cup titles, and two Olympic Gold Medals. 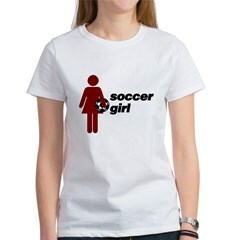 Women's Soccer Links-We gathered some links that pertain to the women's side of this category. Getting Started as a women's soccer player-it starts with the foot. You need to get good cleats (do not get softball cleats) and then tough shin guards, and a ball that will withstand your pounding. Beulah Sports-Women's Soccer Commentary, Scores and News Links. Soccer Hand Signals-visual aid for what the referee and linesman are communicating. Soccer help for coaching tips, drills. Soccer Sites-directory of soccer related sites from around the world. Soccer Science-A look at the soccer world from the personal perspective of Amanda Vandervort. U.S. Soccer - Women's National Team-Official Site. Women's Soccer-info and Women's National Team news. Women's Soccer Show-Your one stop shop for women’s soccer and the WPS. From a Left Wing-the cultural politics of soccer. Goal Blog-women's soccer blog from the NY TImes. Women's Soccer Blogs-many blogs put together. Women's Soccer USA-Coverage of women's soccer in the US. Soccer Forum-want to talk soccer? Then go here! Active.com-Soccer Training Tips and Drills. Coaching Soccer 101-drills and activities. Surefire Soccer-free soccer drills and coaching resources. Show your support for the new Women's Professional Socer League. Don't let this one fold this time! Women's Soccer World Online-Women's Soccer Magazine. The Offside-Women's Soccer Blog about the WPS. Soccer Buzz Magazine-The home of Women's College Soccer on the Web.